Call us at 1-855-816-3857 for 24/7 support. 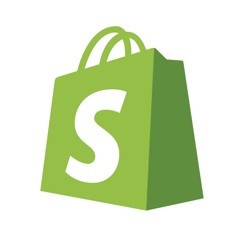 You can also contact us at Shopify Support, or visit the Shopify Help Centre. Ease of use is a huge gain for my business. I love how easy it is to focus on my business now that I don't have the stress of managing web updates! Running my hosted WordPress was a lot of hassle and I always worried that I would forget to update and the site wouldn't work properly. One of the best app I have ever used. I love the new design. When adding a product to my store, I am unable to select multiple photos to add to the product at a time. To those people who regularly add new products and like to include many different photos to show all the different product options like colours and styles: be warned, you will spend more of your time in this app manually selecting and adding one photo at a time to one product at a time than anything else. To those whose selection rarely changes: you’ll still spend more of your time adding photos in this tedious manor than anything else you do during your initial set up.